Now that all the hype over C&C in the blogosphere has died down, it’s my turn to blog about this lovely cafe which is also where I work part-time 😉 After close to 4 months working here, I’ve tried every single sweet and savoury item hehehe. So here’s the lowdown of the best, the ho-hum, and the not so good (I hope my bosses will never see this post lol). 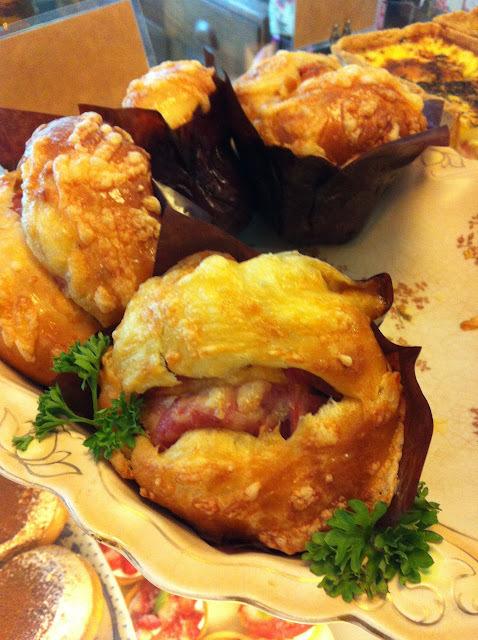 C&C’s pastries are much talked about but you shouldn’t miss out on the delicious savouries! 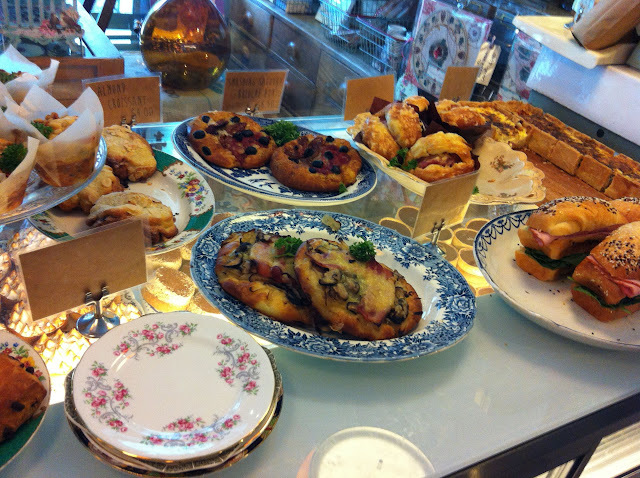 Unless you have a humongous appetite, having a savoury+ 1 sweet should fill you up nicely. No worries, all the savouries are microwaved before serving so you’ll get them hot. 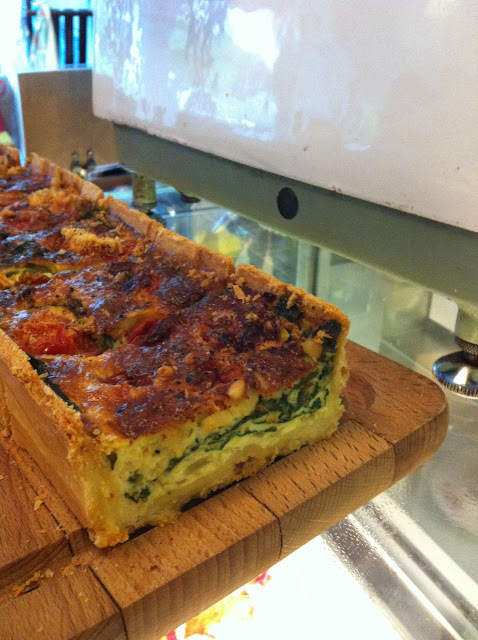 The quiche’s rich, creamy, cheesy filling that has garnered quite a following amongst the customers. What I really love though is the crust. It’s rough, savoury, buttery, and more importantly, it doesn’t get soggy from the filling. I like bacon onion because of the sweetness of the caramelised onions but if you prefer acidity go for the spinach tomato. Another one we usually sell is the mushroom asparagus but I’m not so much a fan of this one. My favourite savoury is the swirly. It’s brioche-based swirled with capsicum, ham, and topped with cheese. 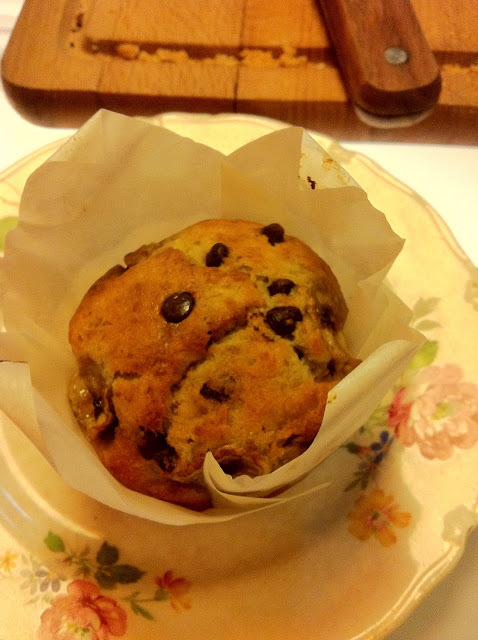 The bun remains soft throughout the day and the combination of ingredients spell comfort food! For whatever reason the savoury muffin (sold only on weekends) don’t really sell but it’s my second favourite after the swirly. The crumb is fine and soft, and contrary to popular perception it doesn’t taste weird at all. 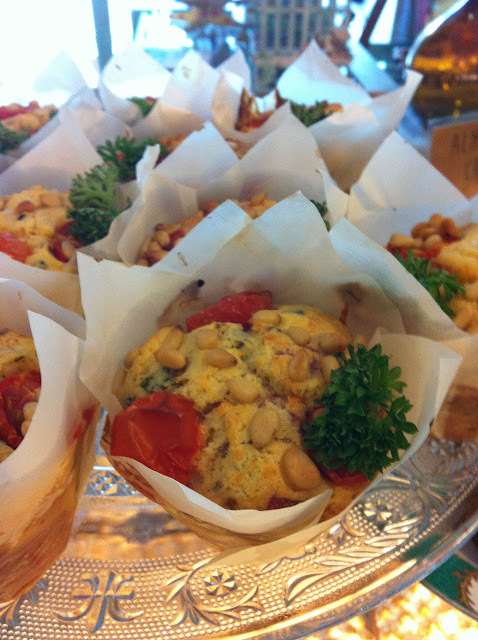 Ingredients are a bit of everything- cherry tomatoes, pine nuts, bacon, mushroom. It’s one of those items that I never see leftovers for because it’s simply too addictive! The other brioche which looks like a mini pizza is also delicious but the bread dries out as time passes. It’s best to eat it fresh out of the oven- microwave just doesn’t work well with this one. I do love the abundance of mushrooms though. If you are looking for something more filling, try the picnic sandwich. 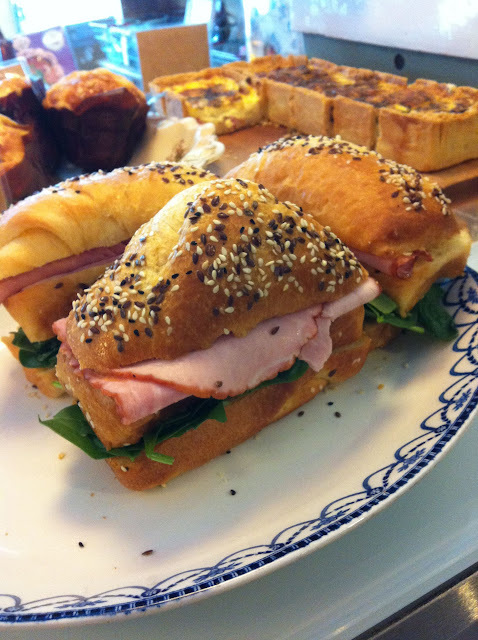 This is also one of our favourites because of the delicious buttered brioche buns and the top-quality ham slices. 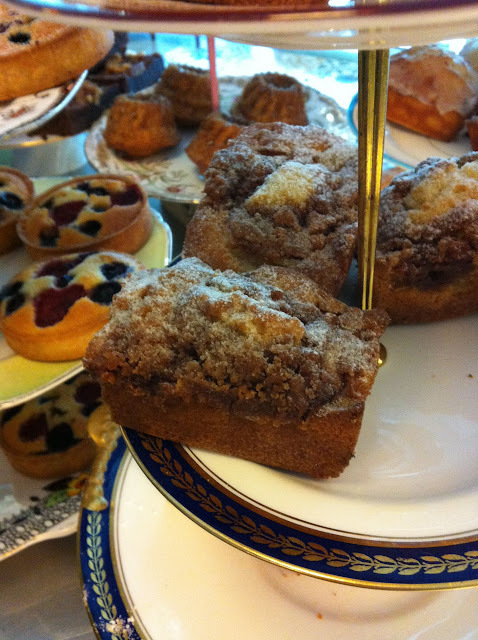 For cakes the favourite would be the apple cobbler. The crumb is super soft and fine (softer than the savoury muffin) and the topping is a slightly crunchy and very buttery crumble. The shreds of granny smith give a slight acidity that balances out the sweetness. I like it best heated up with the little oven we have but we don’t automatically do this you’ll have to request it. I hesitate to tell you this because the oven is a very irritating device. During my first shift I burnt FIVE apple cobblers because the pan was set too high and the oven basically burnt the top after just a few seconds! Can you imagine how flustered I was when I thought I had followed the instructions to a T?! Well I do admit I did enjoy all the burnt apple cobblers. heh. Second favourite is the lemon drizzle cake. We have a customer that would order a couple to-go and have one in the cafe every week. It’s usually a sell-out at the end of the day! Soft crumb though not as soft as the apple cobbler but the best part is the bright acidity of the lemon. It’s surprisingly moist despite the lack of a filling. But I’m not so much a fan of icing of any kind so this is second to the apple cobbler for me. Not that I won’t finish it in a heartbeat whenever a lemon drizzle cake doesn’t pass our QC. I’ll quite literally gobble it up at the side. 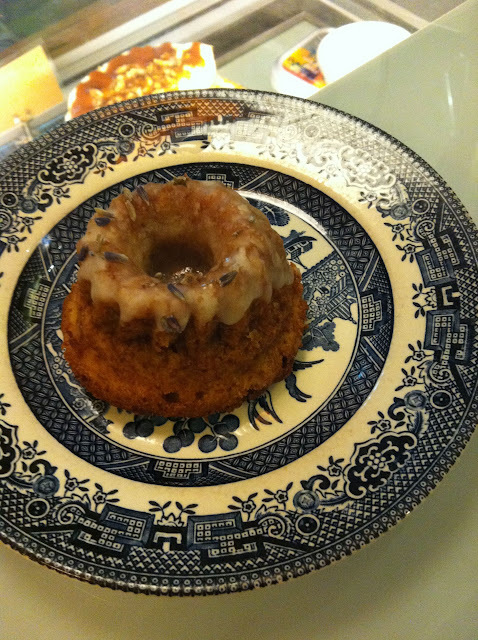 Third favourite goes to the lavender bundt which is another surprisingly unpopular one. I get that people are a little unadventurous with lavender but honestly it’s a little weak for me. What I like is the big but soft and moist crumb. I do agree it’s also a little pricey though, for such a small thing. The muffins are all okay. If I had to choose, definitely the blueberry crumble when it first comes out of the oven. 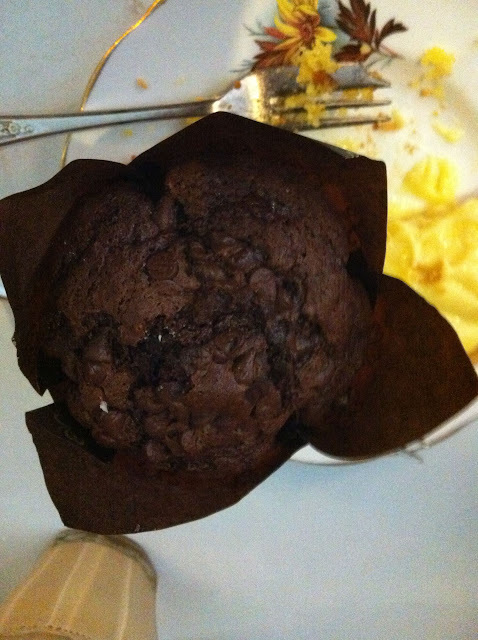 The chocolate muffin gets a little dry especially towards the end of the day and microwaving does help, but only to a certain extent. 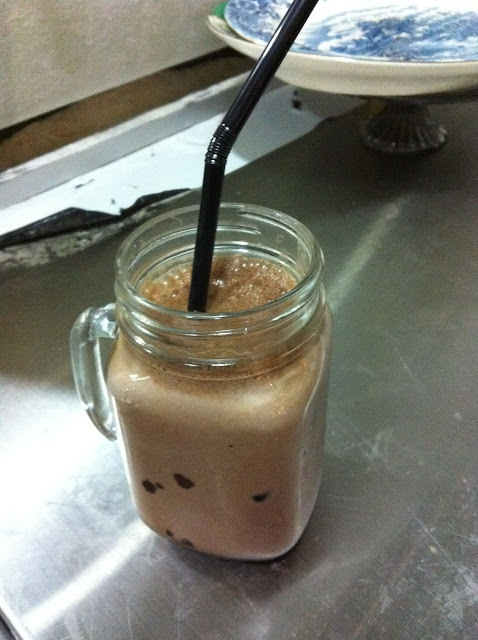 The banana choc is okay, but not fantastic. The frangipane tart is one of the better ones I’ve had but I’m not a fan of frangipane unless it comes with custard and fruit on top. So I think this is okay, but not what I would spend my money on. 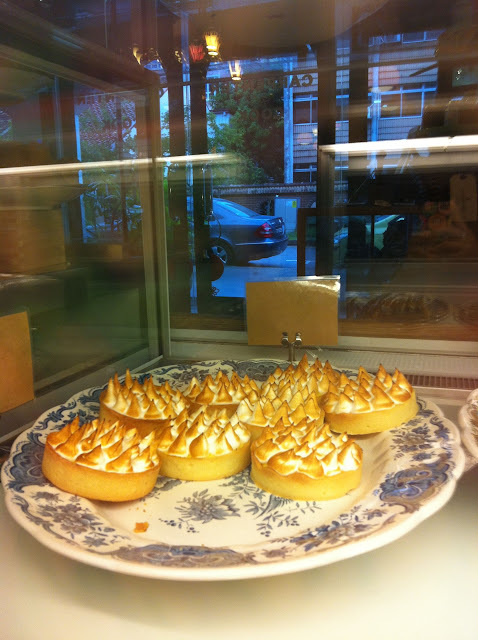 In the display case my favourite would be the passionfruit meringue tart. This is another sellout success every day. I’ve never witnessed leftovers for this! The tart shell is crunchy, the meringue (which is made of egg whites and sugar, no cream at all) is perfect-whipped to a creamy consistency and flamed for a a slight marshmallow-like texture on top. It’s famous for good reason! I’ve had customers who camped around just to wait for this to reappear in the display. A cousin to this is the lemon meringue cake which is also one of my favourite sweets. I really love the meringue made here! Can’t get enough of the creaminess. And the layers of well soaked sponge with the bright flavour from the lemon curd is so delicious. Very yummy. Another cake I always recommend is the carrot cake. The cake itself is studded with a generous amount of walnuts, pumpkin seeds, shredded carrot and pineapple. So moist and the flavours are really balanced! The frosting is good, not too sweet and I get the acidity from the cream cheese but my allegiance still lies with cedele. 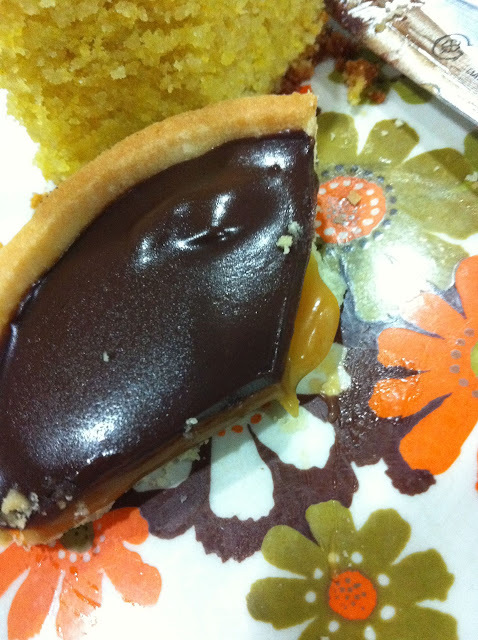 The sea salt caramel chocolate tart is also good but too rich for me. Those who love chocolate in their desserts will like this. The lemon tart is pretty good but I prefer the lemon meringue cake to the tart. Cheesecakes are also incredibly popular. We used to serve blueberry cheesecake but now I usually see the caramel walnut cheesecake. The toppings for both are delicious but I’m not so much a fan of the cheesecake portion and the digestive base. Take my comments about this with a pinch of salt though because I’m not a fan of cheesecake to start with. At the rate these fly off the display case, I suspect most customers will beg to differ. There are other stuff like scones, and croissants which are okay but not super fantastic. The thing I like about the scones is the clotted cream and jam that come with them. Jams are made in the kitchen, all very delicious especially the merry berry and creme de cassis 😀 I’m a big fan. We use the liberty speakeasy blend here. I used to find it too acidic for me but the more I drink it the more I like it, especially if I have it as an iced latte. I’ve been starting to appreciate acidity because it represents the character of the bean. And funnily enough I’m gravitating towards long black because milk drowns out all the unique flavours that come with the blend. Still I hate sour coffee (i believe this is because of over-extraction? I stand corrected) or if the coffee is too oily. Another drink that I discovered during work was the belvoir presses. They are essentially organic sodas. 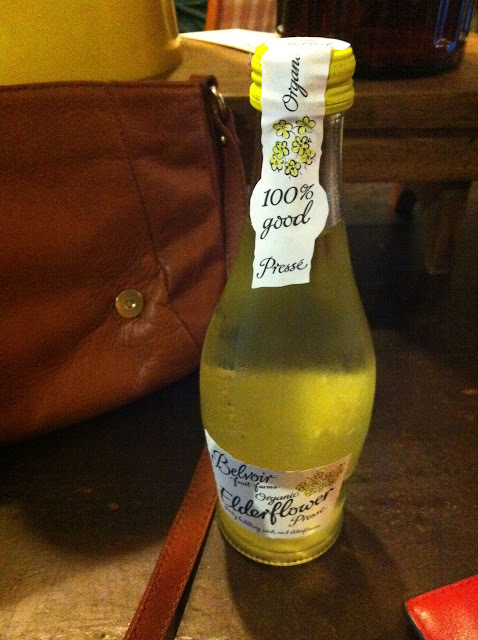 Very refreshing and a good accompaniment for all our food. You can buy them at a cheaper price from cut the mustard.